Yeah, there are a lot of cute pocket monsters. But these guys? Not so much. Pokemon is known for having adorable creatures spanning all different types of elements and properties, from cute water dogs to cuddly electric mice. But there are some aspects of Pokemon that aren't as...innocent. You know, some aspects that include dead spirits, posession, kidnapping, and metamorphosis. Here's a look at some of the more disturbing creatures, as told by their Pokedex entries. For more on Pokemon, check out our official review of Pokemon Sun & Moon. 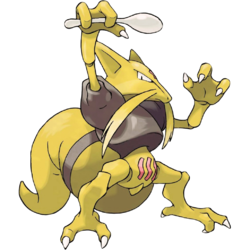 Kadabra has conflicting origin stories, but whether it sounds like the origin of a Marvel villain or a Kafkaesque nightmare, it’s still a horrifying thought for a boy to one day morph from human to full-on Pokemon. This only gets creepier when you consider the somewhat eerie nature of its psychic abilities. 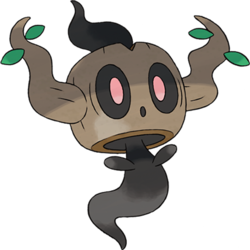 For a Pokemon that looks like a cute, kid-friendly Halloween decoration, Phantump is ironically a creature animated by the souls of kids who supposedly died in the woods. For a game that skews relatively young...this is pretty dark. 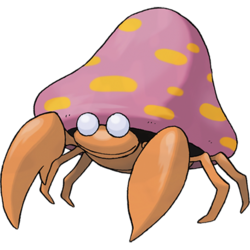 Parasect (the name being a portmanteau of parasite and insect) is basically the Last of Us clickers of the Pokemon world. A parasitic fungus takes control of its body, as we see from the small mushrooms on Paras’ back. Once it gets big enough, Parasect loses itself and becomes a mere vehicle for the fungus itself. We can see this from the oversized toadstool on its back and its dead, white eyes. Nature can be pretty awful, even in the happy world of Pokemon. 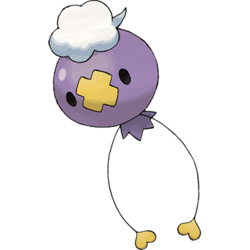 Drifloon is like the Peid Piper of death in the Pokemon universe. Seriously Game Freak, what’s up with all the creatures that want to cause harm to children? 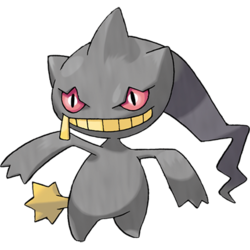 Bantte is basically the Chucky of the Pokemon universe; a toy posessed by a hateful spirit, on a mission of vengeance to find the kid that threw it away. It’s like Toy Story, but horrible and 100% not rated G.
Gorebyss’ most disturbing quality is how equally beautiful and savage it is. Like a twisted mix between a spider and a mosquito, it inserts its mouth into the body of its prey and eats its insides. 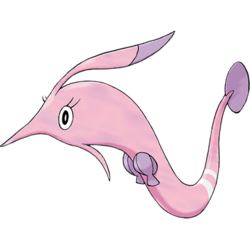 For a Pokemon that would make a decent plus collectible, it’s a pretty awful thought to consider. 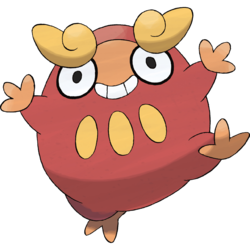 Darumaka isn’t horrible in the same vein as some of these others, but the idea that citizens in the world of Pokemon are covering themselves with its droppings to make themselves warm is...a special kind of disturbing. Why is it the actions of some of these really creepy Pokemon sound like the more well-told creepypastas from the depths of the internet? 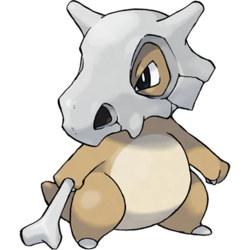 It’s admittedly different from the other Pokemon with a penchant for posession, but that doesn’t make it any less terrifying. 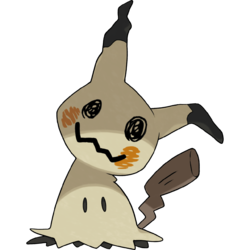 wtf Mimikyu looks like a demented Pikachu drawn by a 5yr old. That's a costume it created to trick people into liking it. I like how within the world of Pokemon, Pikachu is so popular that another Pokemon knows it should make a crude disguise to trap people. Honedge is pretty messed up, too. Supposedly it's behavior in pokemon-amie changes with it's affection rating - while low it will react happily to you touching it's hilt, but if it's high it will get pissed off. Why does Gorebyss have a seashells bra? 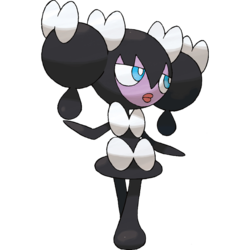 You know, you have things like Pikachu and other animal based ones, then you have your Mister Mimes and Gothic chick or ice cream pokemon and I have to wonder, do they even have a damn process or philosophy for what pokemon are or can be? Yes, but it's the process from a mascot creation studio, not a game densign studio. No fatties in the afterlife! check out my PewDiePie video it's rare!